Here’s how you can switch your privacy level to ‘Per Activity’. This is useful if you want to have a public account except for a few private activities … or a private account except for a few public activities. It’s a bit complex, because the process touches all of your activities. 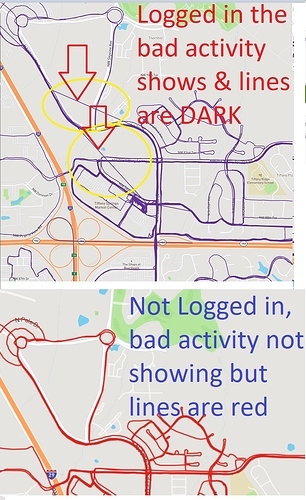 Again, my goal is to view hide (or delete) certain runs from my LifeMap because my watch was acting up and the GPS Trail is WAY off on a few. I do not see (and cannot find) that option in Settings, Profile or when I click on any activity. I am on a PC Computer using Firefox. While you’re viewing an individual Activity, there should be a link in the menu (between Settings and Home) that’s labeled Edit Activity 1 (or whatever Activity ID you’re looking at). That link takes you to the Edit page, and in the right column there should be a field for Share activity map with: that’s just above the Update button. Apologies ahead of time - that Activity Edit form is a horror show. So after going through these steps… How do I NOT see the individual activities that have been edited out. All Activities are set to ‘Everyone’, a few have been edited so the activity is ‘Just Me’ but when I look at my LifeMap… I still see them. Is the ONLY way to not see the activity to log out and look at my link ? if yes, any way to get the lines purple instead of red ? I appreciate all you have done to assist, I just want the bad activities to NOT show up and thought there might be an easy way to delete them. After the next sync it is not showing. Will play around more with this later but by doing it this way I do not need to change privacy settings or log out to see the changes. rsgreen3 --> I have done this also. 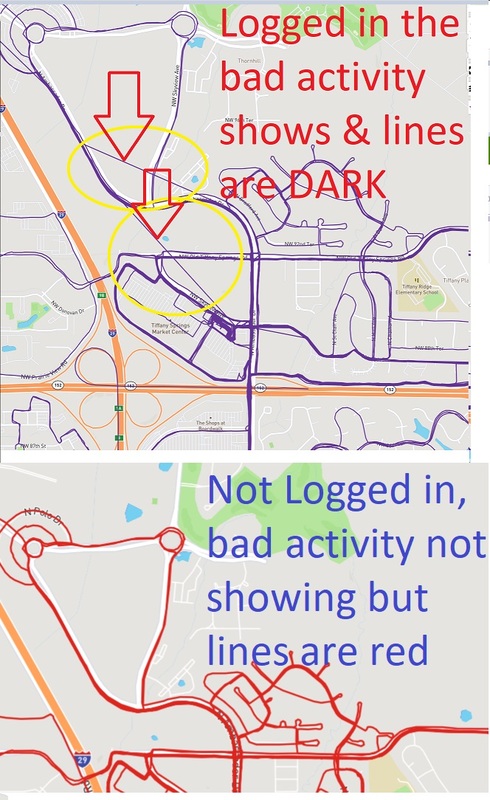 After deleting the bad activity from CityStrides, I will go in MapMyRun, delete the activity with bad GPS data and then enter a manual workout entry with the distance and time of the workout that I deleted. This way you can still track your weekly mileage, etc. The manual entry will not have any mapping information in it, so CityStrides will not display your route on the next sync.